Our next production will be ‘Fallen Angels’ by Noel Coward, to be directed by Dawn Briggs. Auditions take place on Monday 5th and Thursday 8th June from 7.30 – 10pm at Jays Green Community Centre, Harleston – all welcome! There are roles for 3 males and 3 females – entailing ‘strenuous physical theatre’, according to our producer! It’s a comedy but not a farce. Performances in October. 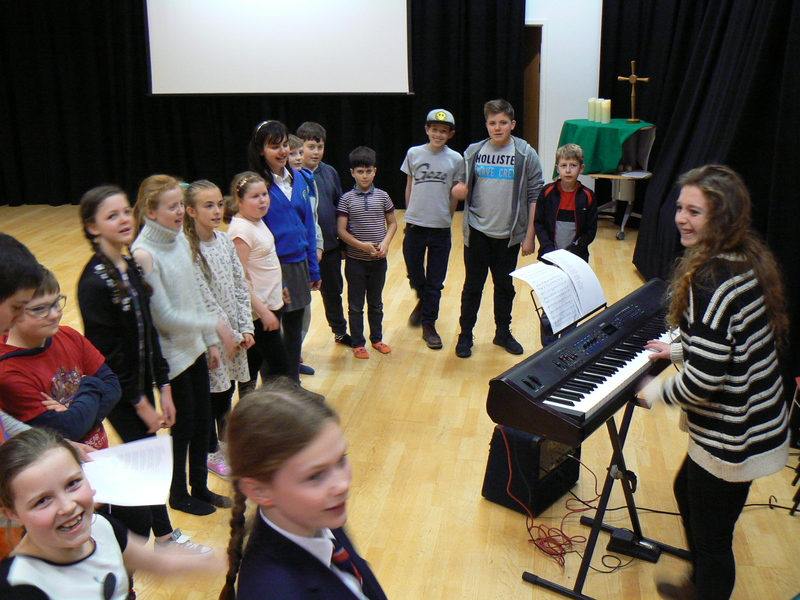 Rehearsals will be on Monday and Thursday evenings – start date to be confirmed soon. Congratulations to the cast and crew of Treasure Island (Jan/Feb 2016), especially to director Meryl Raines, for winning the NODA Eastern Region (District 6) award for Best Play. 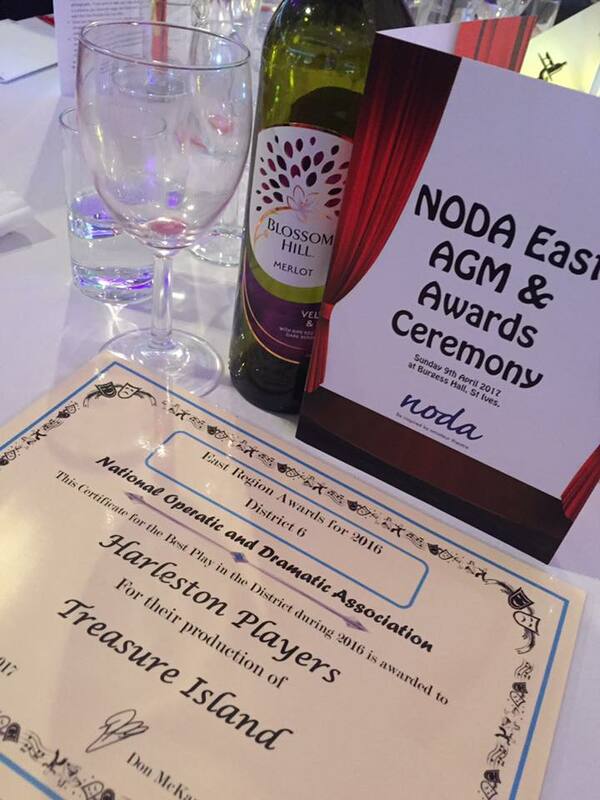 This is a fantastic achievement, and the second year in succession that Harleston Players have won this award. Meryl received the award on behalf of Harleston Players at the annual award ceremony in April 2017. We are very sorry to report that the Youth Drama production of the Jungle Book has had to be cancelled, due to unforeseen circumstances. The cast are nevertheless continuing to build their acting skills, through a series of drama workshops led by Tony Winn. Tony, who appeared as one of the Ladykillers in our recent adult production, and has worked with youth theatre in Essex, will also be directing our next youth production in the autumn, so the workshops are a great way for him to get to know the group. The cast of Jungle Book are enjoying the challenge of choreographing songs in the show – including Flung Festoon, where hundreds of monkeys are running amok! Emily Winter has been on hand to teach the songs, written for the show by BB Cooper and Barb Jungr. Meanwhile, Rachel Cook has been extending her range of animal costumes to cover bears, panthers, snakes, tigers, monkeys and wolves (with jackals and more to follow!). Tickets are on sale from early April from Robinson’s Traditional Stationers in Harleston, by phoning 01379 855027 and online from this website. 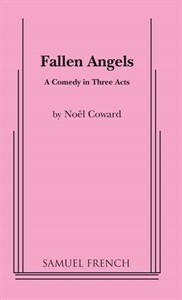 Performances on 5th, 6th, 12th and 13th May at Archbishop Sancroft High School. A potentially very exciting opportunity has arisen for Harleston Players and we would love people to get involved in seeing whether this dream could be made a reality. Harleston Players have for some time been on the lookout for a venue of their own in the town, and a potential space has recently been put up for auction by Durrants – the United Reformed Church on Mendham Lane. We think this could be a wonderful asset; the chapel itself could make a wonderful auditorium and there is a spacious hall at the rear which could be multi-functional, with potential use as a rehearsal room, workshop or function room – even a studio theatre. Furthermore there are several rooms that could be used for offices, a kitchen, bar, dressing rooms and even much-needed storage space for costumes and props. It could become a lovely venue that would be a tremendous asset to the town and to the community as a whole. However, time is short! The auction will take place on 1 March and the guide price is listed at £75,000 – £125,000. The initial challenge if we are to go forward with this will be to raise the money, as quickly as possible, so we can put forward a realistic bid. We are looking for people who would be interested in getting involved, and helping us financially! If you think this might be you, please do get in touch via the contact page on this website, or emailing harlestonplayers@gmail.com. and you can view details here. We will be holding a meeting in the front room at the Swan Hotel at 2pm this Saturday 28 January, which follows one of the open viewings. Please do come and share your views.